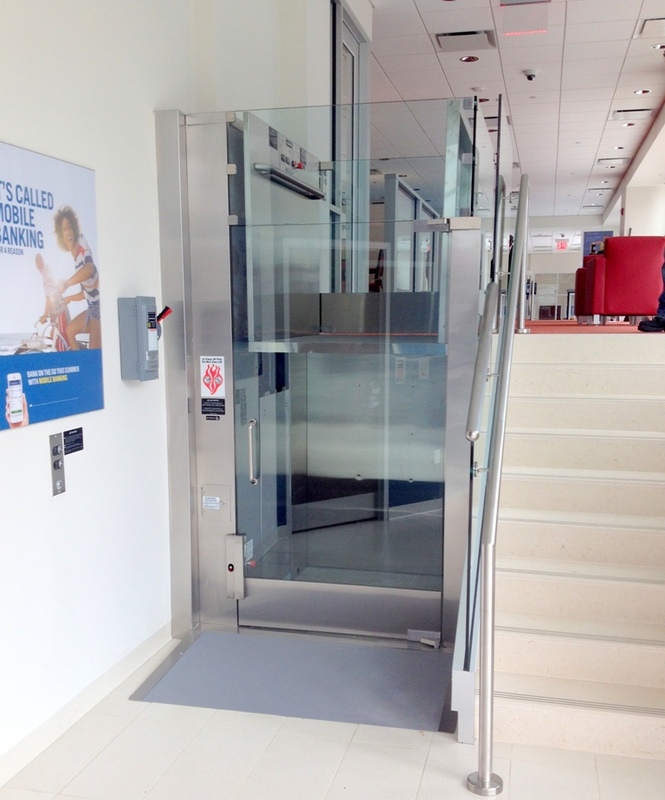 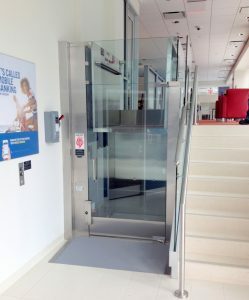 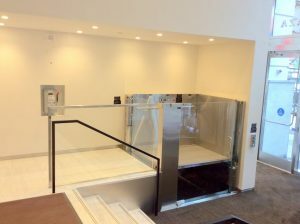 Mobility Elevator & Lift Co. recently installed custom glass wheelchair lifts for: Johnson & Johnson headquarters in new Brunswick, New Jersey, for a Cadillac dealership in New York City, and for a Bank of America branch in New York City. 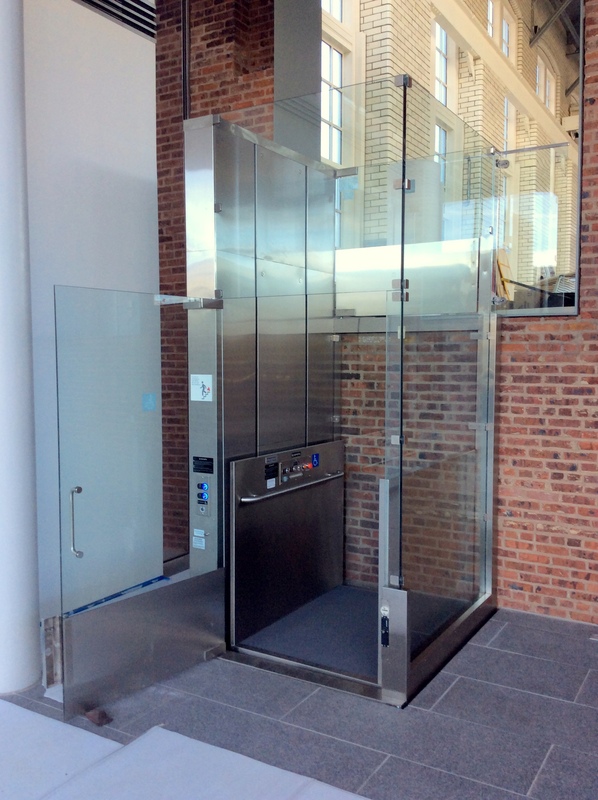 Custom wheelchair lifts can be an architectural element in your design, and Mobility Elevator & Lift Co. takes pride in seamlessly integrating our lifts into any environment. Our most popular model, the V-1504, is suitable for installations in public and commercial buildings, as well as private homes. 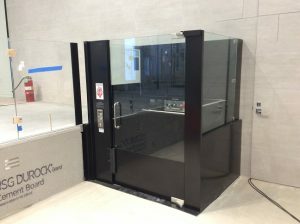 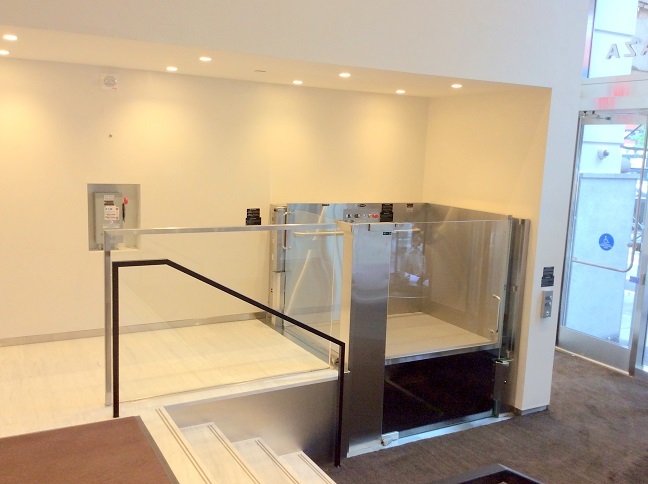 This Savaria lift features an extremely versatile design that can be configured and customized to suit virtually any project requirements and aesthetic needs. To view all our wheelchair lift options, visit our products page here.